Hi y’all! Now that Thanksgiving is over, I’m sure you’re busy getting ready for Christmas. So I won’t take up too much up your time. But, let me take a moment to tell you about a neat little e-book. It’s called Keep the Happy in Your Holidays: 21 Ways to Save Time, Money, and Your Sanity This Christmas Season. 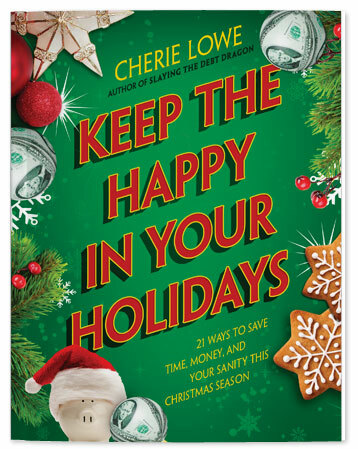 Written by the Queen of Free, Cherie Lowe, it provides a fantastic blend of practical tips and inspiration to get through the hectic, stressful Christmas season. 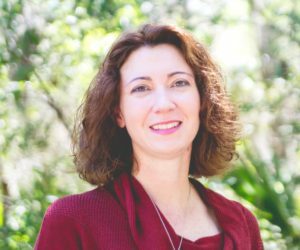 Ms. Lowe knows firsthand how stressful Christmas time can be while living under the weight of debt. Her family paid off $127,482.30 of debt in four years. Wow! She shares money saving strategies she used while getting out of debt – everything from Black Friday tactics to cutting costs for wrapping paper, traveling and the holiday feast. She also imparts inspirational ways to find contentment and have an attitude of gratitude when we are tempted at every turn by materialistic desires during this joyous season. I encourage you to check out this very reasonably priced e-book – it’s only $1.99! If this Christmas season is already too hectic to find time to read it, it’ll make a great read for January. It even has some tips for what to do right after Christmas to prepare for the next year. I’ll leave you with this quote from the book. It stopped me in my tracks.